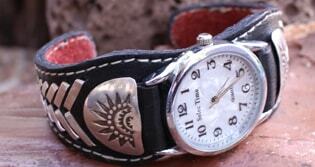 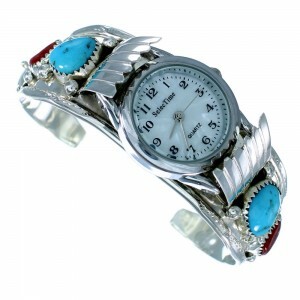 Classic design meets modern functionality with our selection of Native American watches. 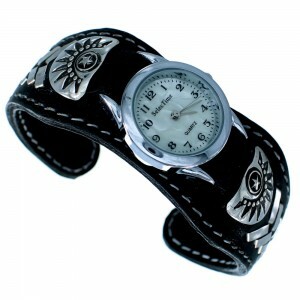 You won’t be the only one staring at your watch anymore. 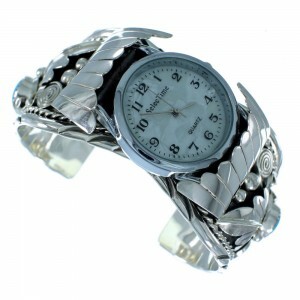 Expect to turn some heads. 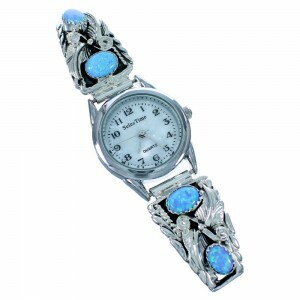 All of our watches are made with beautiful sterling silver and popular gemstones that reflect the beauty and craftsmanship of the Southwestern tribes. 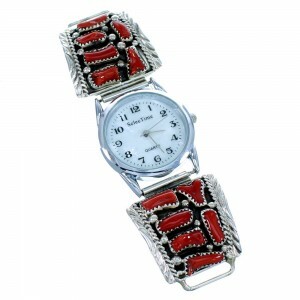 However, we decided to make this jewelry functional for those with a more practical approach to fashion. 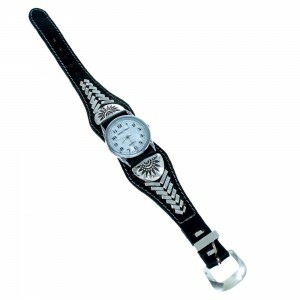 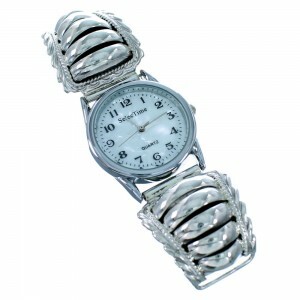 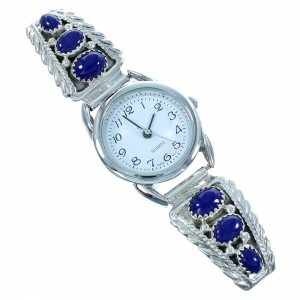 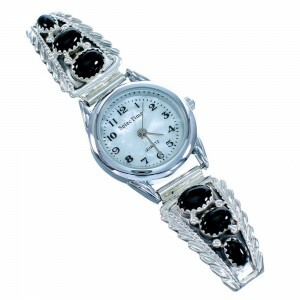 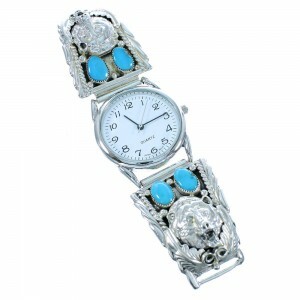 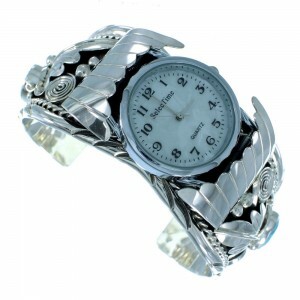 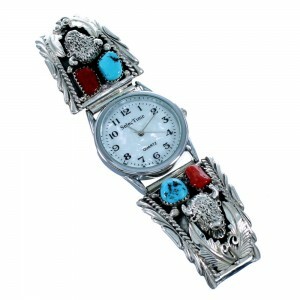 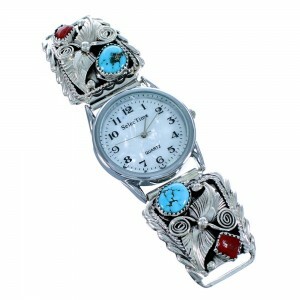 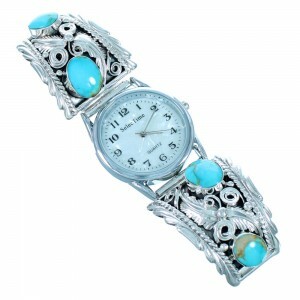 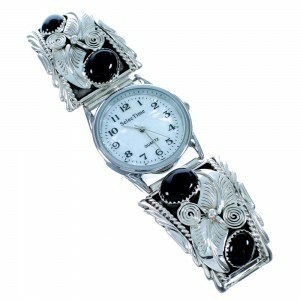 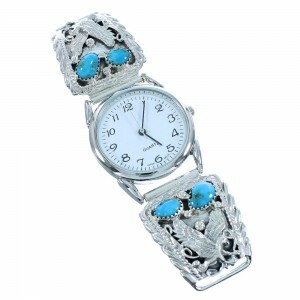 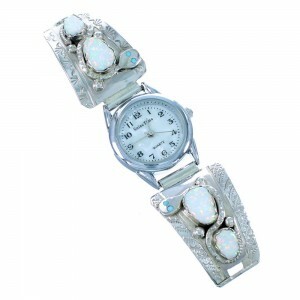 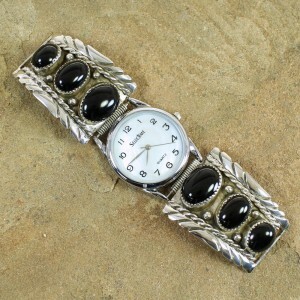 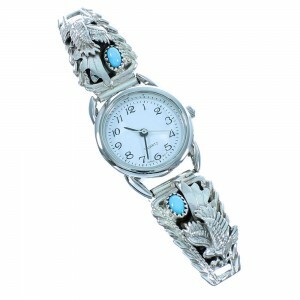 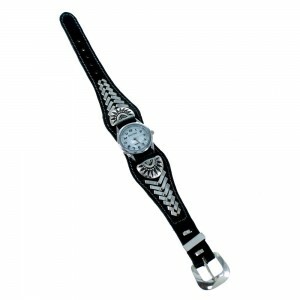 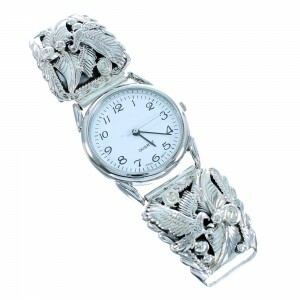 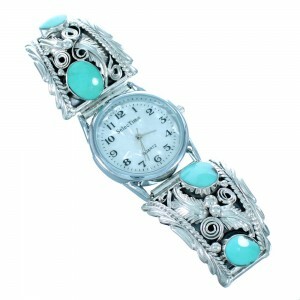 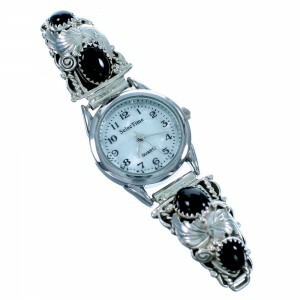 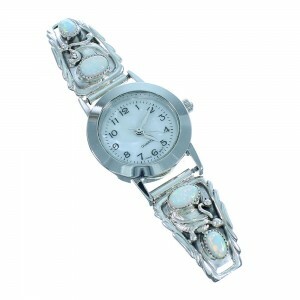 At NativeAmericanJewelry.com, we offer Native American watches crafted from the finest materials available at the lowest prices around. 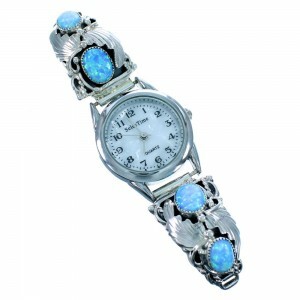 Every watch you’ll find was designed to make a statement and last for yard with solid mechanics and beautiful stonework. 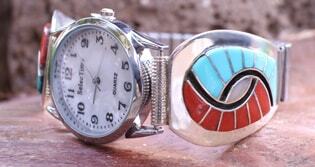 We carry designs inspired by the Zuni tribe that feature beautiful inlaid stones. 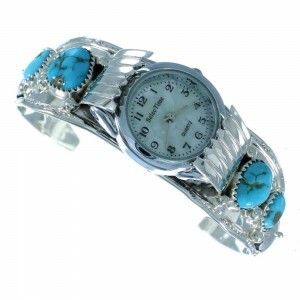 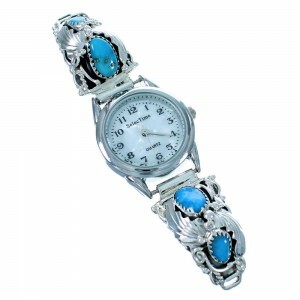 We also have a great selection of Navajo watches with perfectly molded sterling silver and bright turquoise stones in bezel settings. 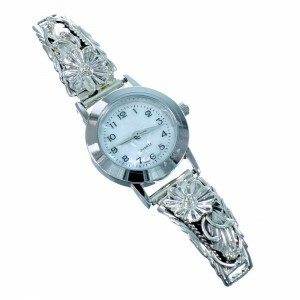 If you want a beautiful piece that’s as functional as it is fashionable, our selection is for you. 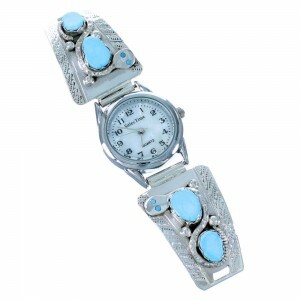 Browse this growing selection today to discover your Southwestern style. 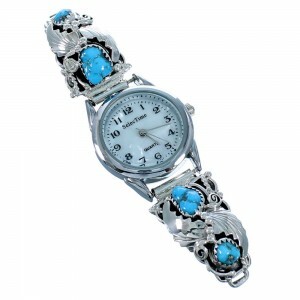 We always offer discounted prices and free shipping to all U.S. 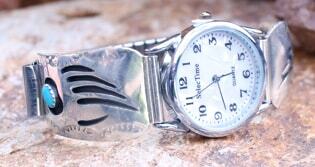 Addresses. 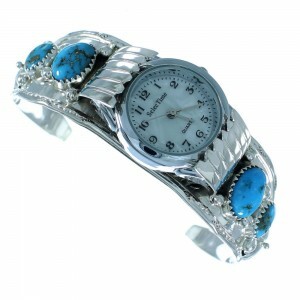 Shop today to enjoy prompt shipping and the best customer service the web has to offer on our entire selection of Native American jewelry.